Home/Announcement/Our Blog is Just a Tool. Learn How To Use It Now. Our Blog is Just a Tool. Learn How To Use It Now. Every Blog post is an announcement of new material that was just added to one of our many Sections. I have been compiling (and archiving) peer-reviewed articles since early 1996, and to date we have over 5,000 Abstracts, and hundreds of Full-Text articles on a wide variety of subjects. When enough material, relating to a particular topic was collected, it was gathered into a new Topical Page in one of our many Sections. Each Topical page is located in the Section most associated with that topic. Thus, our Attention Deficit Page is located (is a part of) our Pediatrics Section You get the idea. Almost ALL of our Sections contain some, or many Topical collections. The LINKS Section is the most extreme example, because it contains 90 different topical pages. 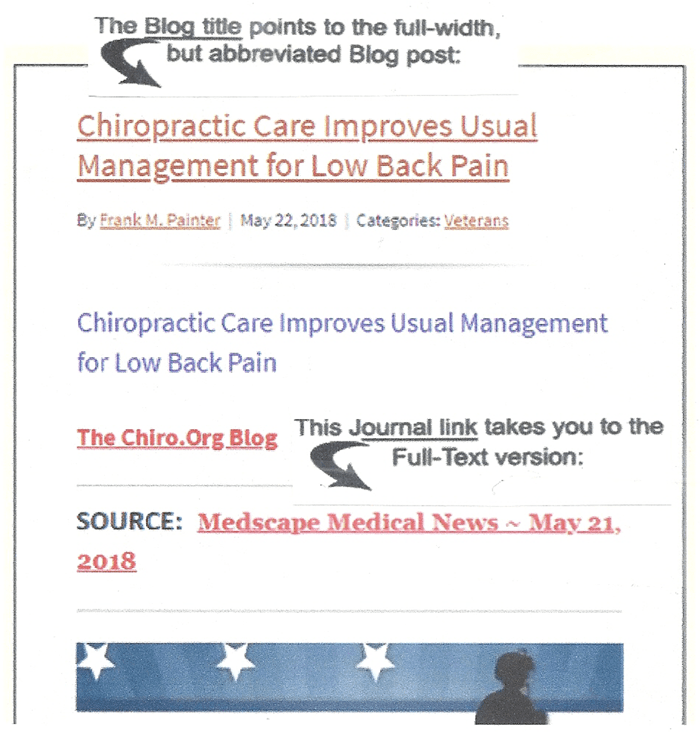 What is the Chiropractic Subluxation? The following is a Graphic “screen grab” of a Blog Post from our Home Page. This is a screen-shot of a front page Blog Post. full-width Blog post, which contains a few more paragraphs. that it was posted to. you can see which Topical pages this article links to. on the topic you are reading about. The more you play around, the more you will discover. Enjoy the Topical Collection pages, wherever you find them.